Buying a new car can be stressful enough as it is, but buying a used car adds a whole new layer of apprehension to the mix. How well was the car maintained before it came to the dealership? What was it used for? Any accidents on its record? How well does it drive? If these questions and more are running through your head, you’re not alone. Used cars can be a mystery at times, but buying a Toyota Certified Used Car is different. 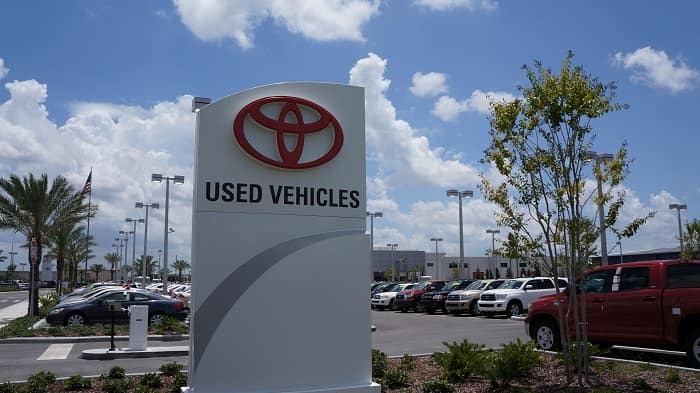 Toyota of Clermont is here with more details to help you feel confident when buying a used car. 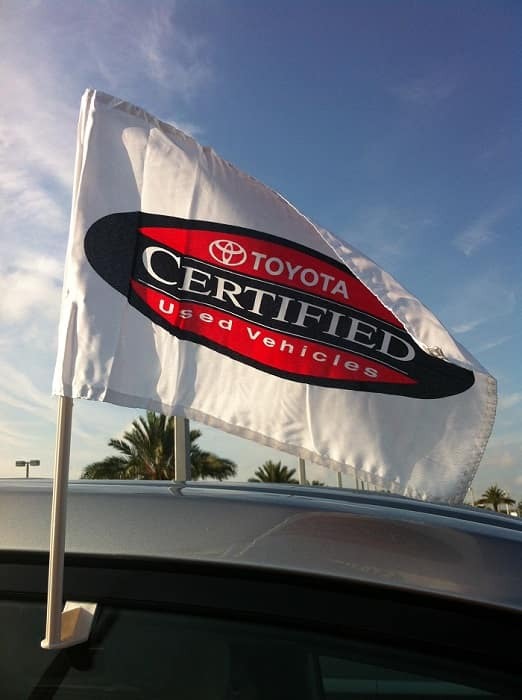 You may be asking yourself, what’s the difference between a common used car and a Toyota Certified Used Car? The difference is the confidence that comes from what’s included with your Clermont car purchase. An all points vehicle inspection, roadside assistance, warranties, and vehicle history reports all to guarantee that you made the right purchase. At Toyota of Clermont, we have a great inventory of Toyota Certified Used Cars and we’ll show you a little more of what makes them great investments for any budget! Warranties: Included with every Toyota Certified Used Car is a 12,000 mile/1 year bumper-to-bumper warranty to make sure your Clermont vehicle is taken care of. If you’re looking into purchasing a pre-owned hybrid, included with the initial warranty, you’ll also receive a 100,000/7 year powertrain and 100,000/8 year factory hybrid warranty. Roadside Assistance: There for you 24 hours a day and 7 days a week is one year of emergency roadside assistance because you never know what could happen while you’re driving. If it’s a flat tire, dead battery, break down, or really anything that calls for a pull over, help is just a phone call away. Inspections: Before a Clermont Toyota Certified Used Car even parks on the lot and gets a price tag, it goes through a thorough inspection from our expert auto service team. Top-to-bottom, bumper-to-bumper, our inspections cover 160 points on regular vehicles and 174 on hybrids to make sure we don’t miss a thing. Vehicle inspections must be completed and if something’s wrong with the vehicle, we make it perfect before you even see it on the lot! Vehicle History: Knowing where a Clermont used car has been is important when deciding to buy. That’s why every Toyota Certified Used Car comes with an included CarFax report to make sure that what you’re buying isn’t a mystery. We get it, buying a used car can be stressful and raise a lot of questions. Luckily, we have Toyota Certified Used Cars to ease your worry and make buying a used car simple and comforting. You want to make sure that the money you’re investing goes towards a vehicle that’s reliable and exactly what you paid for. So, what are you waiting for? Come shop Toyota of Clermont for a great selection of certified pre-owned vehicles all at prices to fit your budget. Give us a call at (352) 404 – 7000 for more information or stop by the dealership at 16851 State Road 50. We’re open seven days a week for your convenience!